The First Battle of Champagne extended from December 20, 1914 to March 17, 1915, and was a French offensive against a German line that proved to be well-entrenched. After preliminary skirmishes such as that at Givenchy on December 18, the French offensive began on December 20, at Perthes-les-Hurlus, between Reims and Verdun. 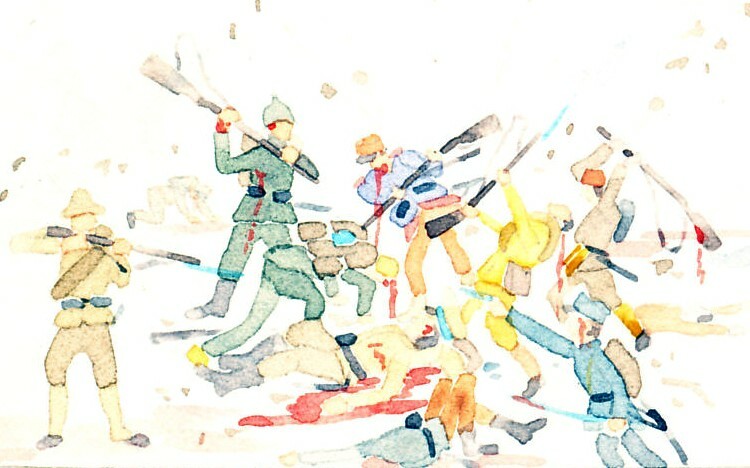 On December 22 the French struck at the salient of Noyon. 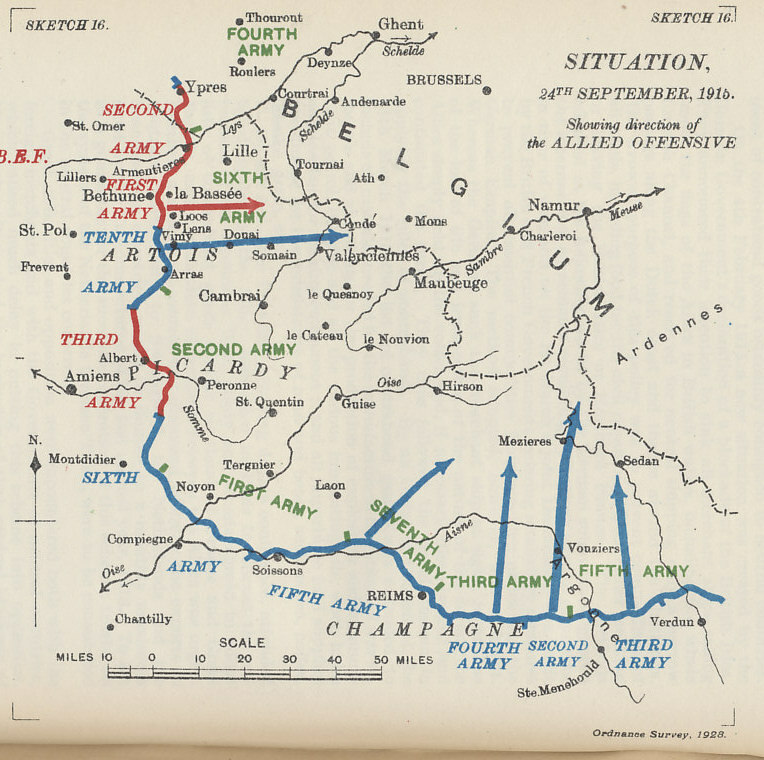 On January 12, 1915 German forces counterattacked at Soissons. After an hiatus of several weeks, Joffre expanded his offensive in Champagne. General de Langle de Cary's struck again at Perthes in a battle that continued into March. 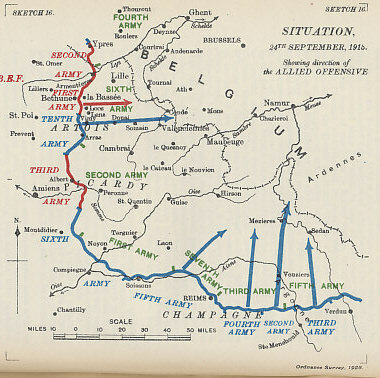 The French offensives culminated with a coordinated British offensive at Neuve Chapelle on March 10 where the French supported the British with artillery bombardments from their flanks. In Champagne, under General Franchet d'Esperey, the French attacked with a preliminary heavy artillery bombardment and an infantry advance. In the Champagne offensive of February and March, 1915, the Germans lost at least 15,000, and the French 50,000 casualties. France's total casualties for the winter battles of 1914-1915 were 400,000.